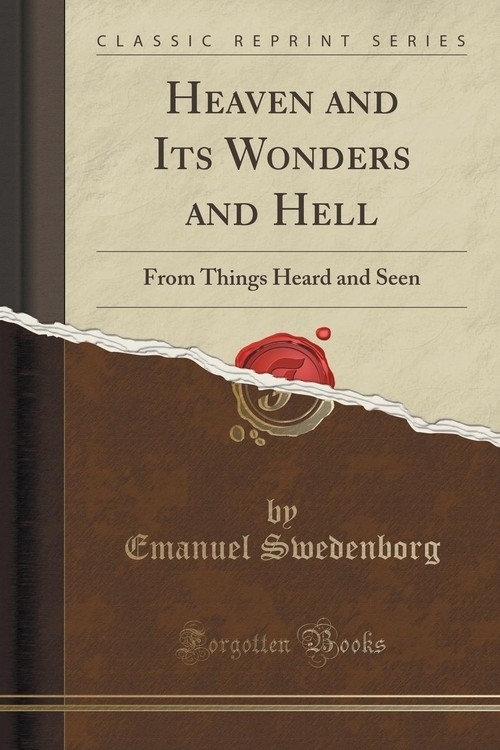 Excerpt from Heaven and Its Wonders and Hell: From Things Heard and Seen<br><br>References to the chapters and verses of Scripture are printed in accordance with the Authorized Version, even where Swedenborg, through his use of the Latin Version of Schmidius, or from any other cause, employs a different enumeration.<br><br>The present volume has been re-translated and read for the press by the Rev. James Robson Rendell, B.A., with whom have been associated the Rev. Isaiah Tansley, B.A., and Mr. John Stuart Bogg, as a consultative committee.<br><br>In this edition the references to the Arcana Clestia have been omitted.<br><br>About the Publisher<br><br>Forgotten Books publishes hundreds of thousands of rare and classic books. Find more at www.forgottenbooks.com<br><br>This book is a reproduction of an important historical work. Forgotten Books uses state-of-the-art technology to digitally reconstruct the work, preserving the original format whilst repairing imperfections present in the aged copy. In rare cases, an imperfection in the original, such as a blemish or missing page, may be replicated in our edition. We do, however, repair the vast majority of imperfections successfully; any imperfections that remain are intentionally left to preserve the state of such historical works.